Can you believe it, it's May already? 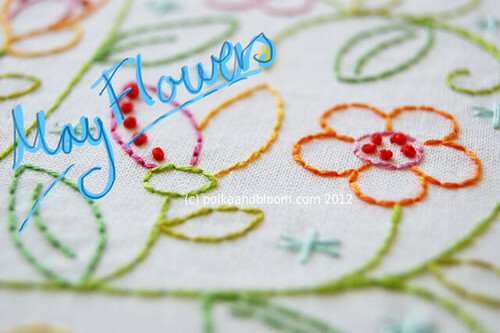 Here's a wee sneak peek of the next Polka & Bloom pattern. Coming soon! I am so so so happy for you and all the goods thing happening to you....it is well deserved. As a fellow " I live to embroider" person..it just makes me happy to know someone who is really getting noticed. Your work is exquisite!!! Squeal! Best afternoon pick me up ever! I LOVE it!